Join PCA Potomac for our 3-day DE at VIR's "full course". This is a must-do event! VIR is a complex 3.3 mile track with 17 numbered corners (some would argue 22 corners) and 130 feet of elevation change, and our HPDE event follows the IMSA Michelin GT Challenge race the prior weekend. The track offers long straights for high-speed driving, tricky technical corners, high-speed sweeping corners, and the famous climbing esses. 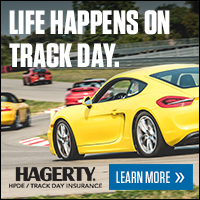 IMSA racing provides televised racing on a track THAT YOU HAVE DRIVEN! VIR also offers fuel, paved paddocks, garages, food, a 0.6 mile karting track and hotel/villa rental availability all on the VIR compound. Want a little more? We plan to conduct an Extended Passing session for the White Run Group to prepare those drivers for the higher-level run groups.